Elements Westford is pleased to offer our Wellness Program clients exclusive discounts and other benefits from our local business partners listed below. Check back frequently as we update and add additional partners and benefits for Westford. The Westford Regency Inn and Conference Center is a privately owned and operated Inn and conference center located in suburban Boston, Massachusetts. They are a full service facility offering 193 guestrooms, 20,000 square feet of conference and banquet space, a 15, 000 square foot Health Club, and a luxurious marble and mahogany paneled lobby with free wireless internet connections. They are dedicated to making your wedding reception elegant, business travel easier and leisure travel more relaxing. 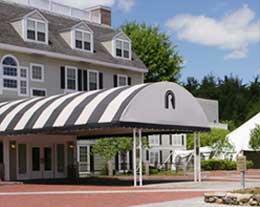 Come and visit Westford Regency Inn & Conference Center the next time you need a hotel in the Boston area. 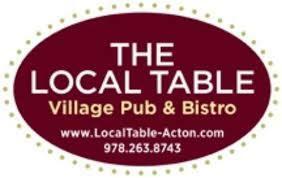 The Local Table in Acton is a delicious bistro/pub that feautures fresh meals for brunch, lunch and dinner with flavors that match the season. Their food is found through local channels, and everything they prepare is fresh and all natural. They provide a wonderful atmosphere that includes local brews and wines, as well as delightful music on the weekends.